Young voters showed up Tuesday. Did celebrities help? 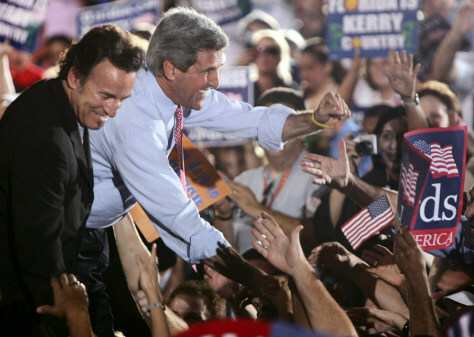 Sen. John Kerry and Bruce Springsteen greet the crowd at an Oct. 29 rally in Miami. Both parties, but notably the Democrats, enlisted celebrities to help them connect with voters.